Journalism might be a fine, safe and respectable profession in many parts of the world, but in Mexico, reporters and photographers put their lives on the line. In the last 10 years, 62 journalists have been killed in Mexico, making it the most dangerous country in the world for journos, according to the watchdog group Reporters Without Borders. 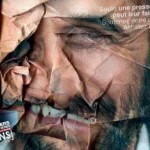 Reporters Without Borders, based in Paris, made the assertion in the organization’s annual “Predators of Press Freedom” report. In addition to Mexico’s particular place in this dark pantheon, the RWB listed 40 politicians, government officials, religious leaders, militias and criminal organizations that are at war with journalism. “They are powerful, dangerous, violent and above the law,” the organization said. The latest predator report was released in early May, and showed some changes from the 2008 report, the RWB said. 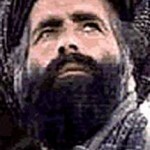 Taliban leader Mullah Omar, whose influence extends to Pakistan as well as Afghanistan, has joined the list because the holy war he is waging is also directed at the press. In his war to control media coverage, around 40 attacks were directly targeted at journalists and news media in 2009, the RWB said. 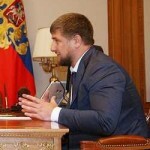 Reporters Without Borders met Chechen President Ramzan Kadyrov is another on the list’s new entrants. “No one should be fooled by his confident pretense of tolerance and a benign view of press freedom,” the report said. “Two outspoken critics of Russia’s handling of the “Chechen issue,” Anna Politkovskaya and Natalia Estemirova, were both gunned down—Politkovskaya in Moscow in October 2006 and Estemirova in Grozny in July 2009. “Both these murders had Kadyrov’s prints on them, as have many others that have taken place under the regime of terror he has imposed in Chechnya.” the report said. Among the 40 predators are officials, military or criminal presences in Russia, China, Saudi Arabia, Cuba, Rwanda, Libya, Spain, Sri Lanka, Iran and Italy, the group said. 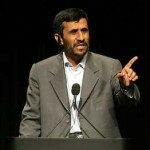 Leading the 40 was Iran President Mahmoud Ahmadinejad. It is in Mexico, however, that the violence has reached an apex, particularly in the north, where drug wars rage among cartels. Though crime and drug trafficking are the biggest issues in Ciudad Juárez, journalists extensively censor their work on those vital topics, wrote Mike O’Connor in a June special report for the Committee to Protect Journalists. O’Conner wrote that many journalists say the November 2008 killing of Armando Rodríguez Carreón, a veteran crime reporter, served as a warning to the entire press corps in Ciudad Juárez. The case also illustrated the dysfunctional state of law enforcement. In July, the lead federal investigator working on the case was shot to death. His replacement was murdered less than a month later. Is there a top 20 table of countries with a record similar to mexico. Id have thought Russia,Iraq and some places in the middle east are very dangerous.